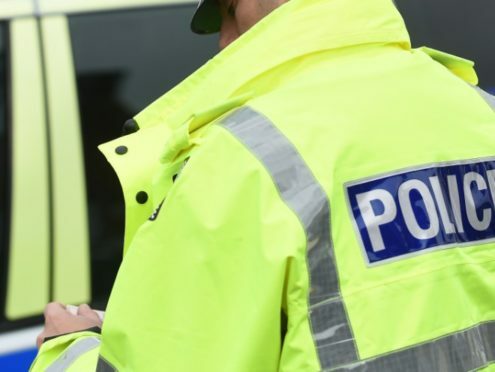 An Aberdeen man has admitted trying to punch a police officer who tried to stop him assaulting his girlfriend. Felix Mills had been out celebrating New Year with his girlfriend when things took a turn for the worse on Langstane Place. He was spotted by officers at 1.45am nipping and headbutting her and they intervened. When they intervened, Mills struggled violently and tried to punch one of them. He also spat and bit the officers. The 21-year-old admitted seven charges of assault at Aberdeen Sheriff Court yesterday. Fiscal depute Karen Dow said there had been no injuries as a result and his partner had not provided a statement to the police. Sheriff Ian Wallace deferred sentence on Mills, of Irvine Place in Aberdeen, for reports. He will return to court next month.